One skein project! 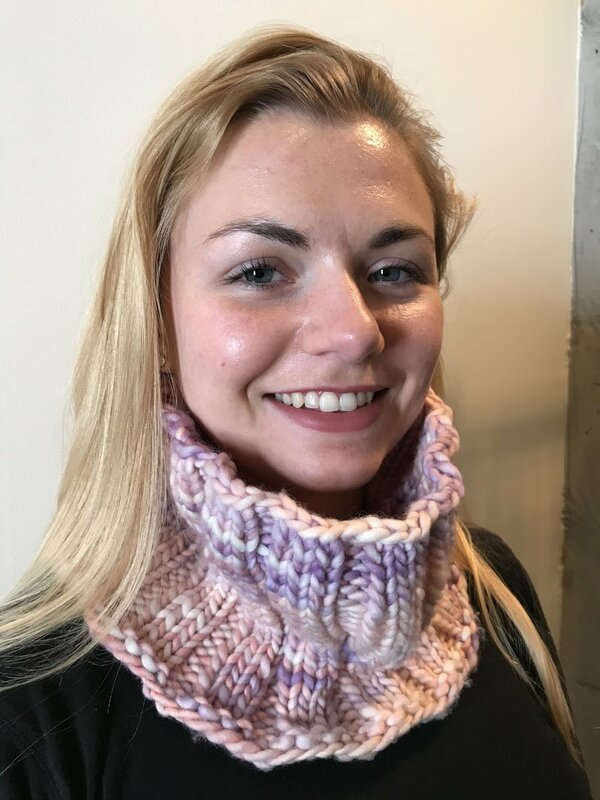 This is a sweet little cowl knitting pattern designed by Donna Pelzar. It is as soft and warm as it looks and takes only an afternoon to complete. Knit one for yourself or someone you love to keep them cozy all winter!